Great machines! Live Auction! Don’t Miss Out! Pickles was established in 1974 and has grown to become Australia’s largest and most respected auction group. The monthly industrial auction is the largest of its type in New South Wales, consistently offering well-maintained ex-government, finance and fleet construction and earthmoving plant and agricultural equipment. Pickles provides customers with the flexibility and convenience that suits their need with various ways to buy. Customers can choose from Pickles Live (by either attending the live auction or through the Pickles Live app), Pickles Online where customers can bid via the click of a button from the comfort of their home or office, or by skipping the auction and buying at a fixed price. 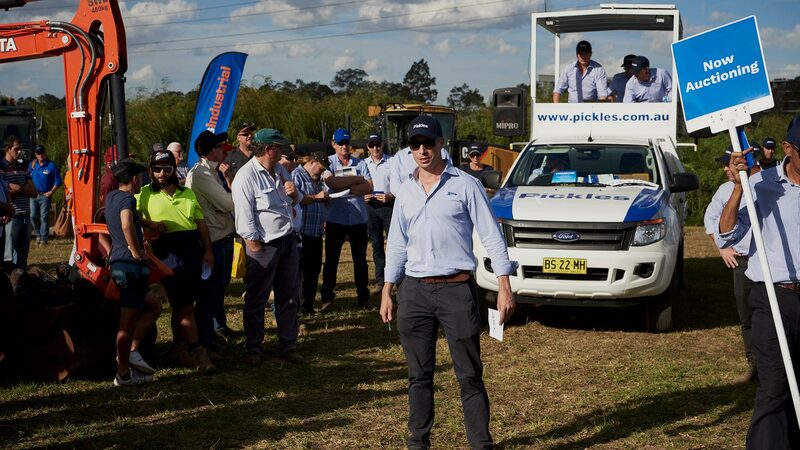 First held at the 2017 Expo, the 2019 National Diesel Dirt & Turf Expo will again be hosting the Pickles Auction on Saturday 4th May. Each year pickles brings a huge variety of stock and their team. Pickles will then conduct a live and simulcast auction from the show. You can register for the auction at Indoor Stand 9 & 10. Come view the machinery at outdoor stand 131. What Machinery Is Up For Auction.